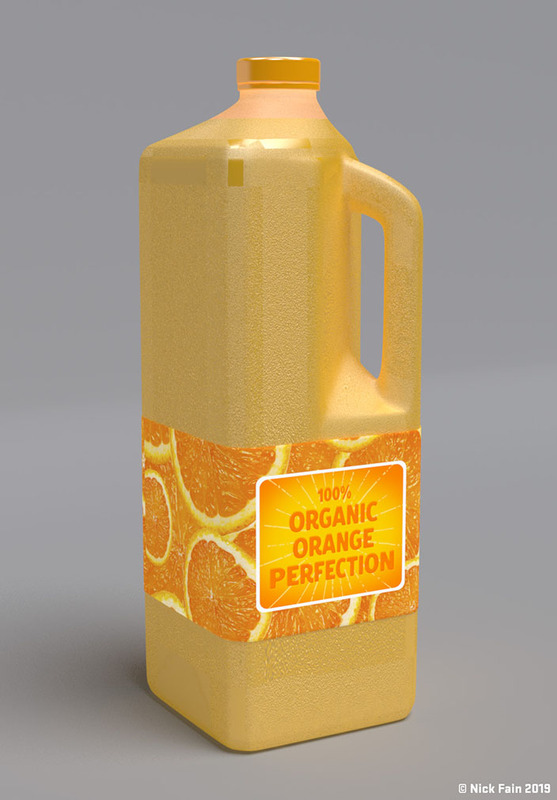 Here's an OJ bottle that is displaying some mapping errors. I unified the polys, even resolved some triangles in the mesh -no help. There are rectangular areas that are not showing the bump map -these are the problem areas. I'm thinking it's a UV error. I have not mastered UV mapping, so not sure how to resolve this. Also, having seams in this model would not look correct. 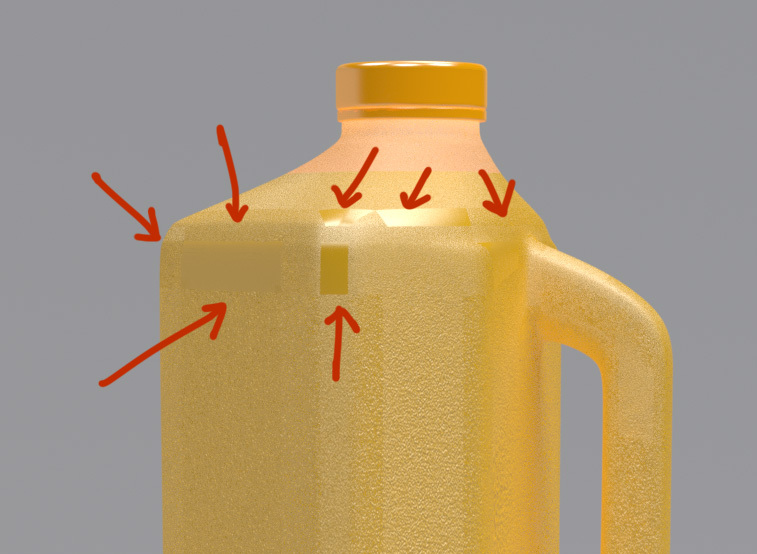 A real juice bottle has a very uniform size to the pitted texture, except at the threaded section on spout (hidden by cap) So I have just used the default UV settings -which are mostly excellent except for the areas in question. (I posted this on the FB page, but not getting any answers on this one. I'm showing an earlier version, with the non-quad geometry, as after resolving the triangles, and re-attaching the textures, the UV mapping was actually worse. 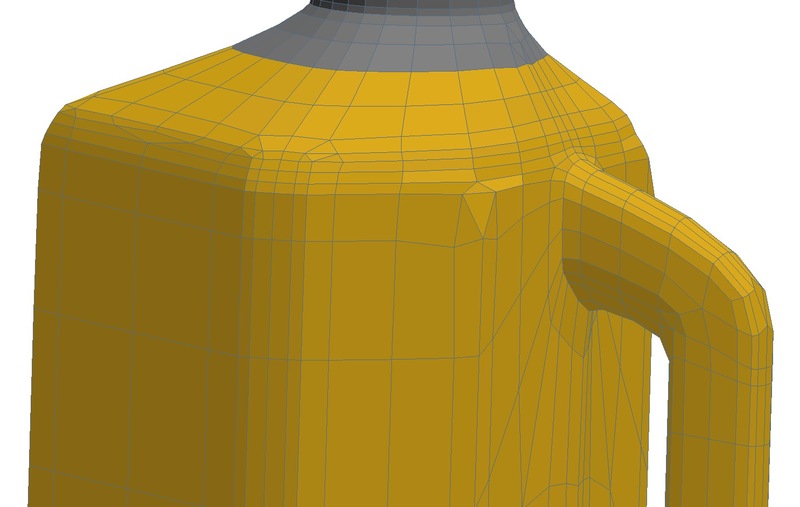 This model has selections subsets for separate textures on the neck & lower sections of the bottle. This could be due to the smoothing angle used. You might try lowering or increasing the objects smoothing angle and see if that helps. Thanks Kevin. I did try that, but perhaps need to revisit. I also tried Meshlab -and that is an excellent solution. Perhaps Strata could build in tools to detect, repair & resolve triangles, and other "bad geometry" that can be hard to detect. I have another app that can make repairs. It can take a few passes, but it does the job.